The ultimate in scale realism! This bike not only leans realistically through the curves, but the rider moves from side to side at the same time! 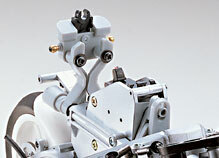 This model is molded for even greater scale accuracy and easier access to radio equipment and mechanical parts. The rider is made from an astounding twenty separate parts for natural movement! Fully functional suspension using sprung front forks and a sprung monoshock swing arm at the rear ensure efficient road holding. 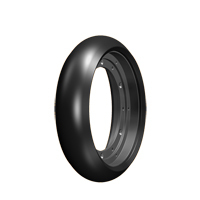 Oil filled sprung dampers can be fitted as optional upgrade parts for even better handling on rougher tracks. 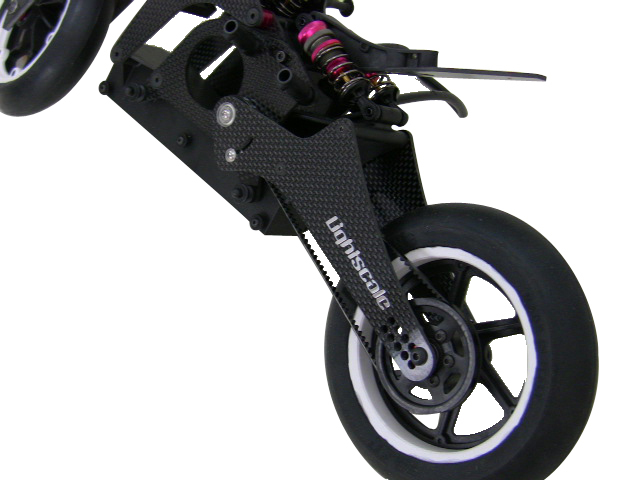 The powerful Kyosho Le Mans DM20 motor (included) drives the rear wheel via a real chain system. 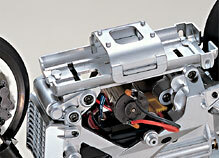 (Optional ballraced motors can also be fitted for even better performance). 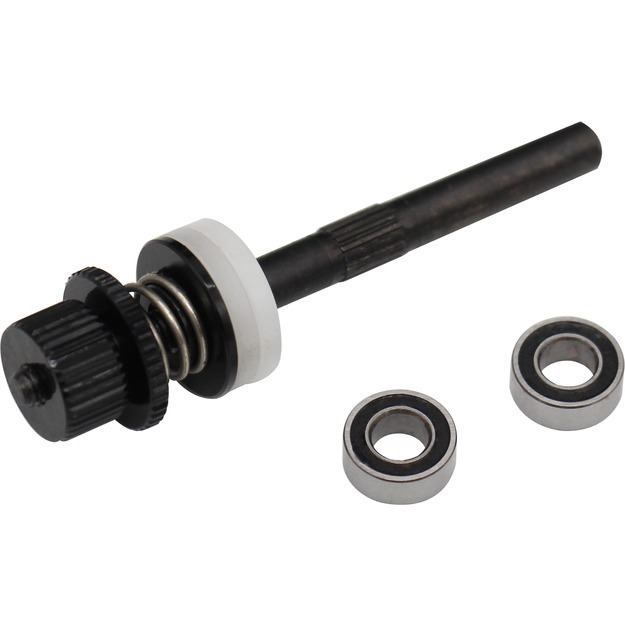 Each kit includes two gear ratios, allowing you to match the power to the track. 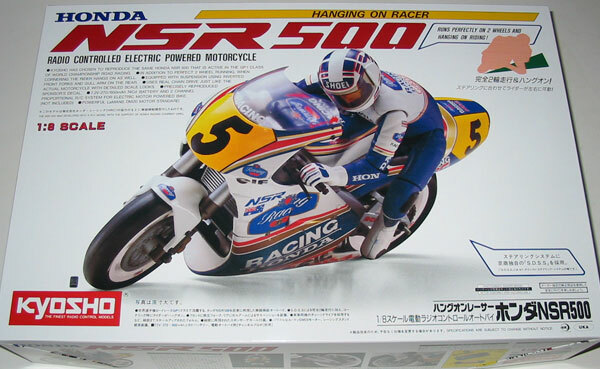 A comprehensive sponsor decal sheet is included for both the rider figure and the bike itself, allowing you to create a scale masterpiece that really works! Great looks and fun to drive too! Just add your radio, speedo and battery and you are off to the races. S.D.S.S Effect - Steering post swings right and left to realize the amazing S.D.S.S. effect! 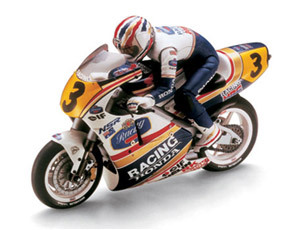 The relative front and rear movement causes the centre of gravity to shift and generates the bikes turning force. The rider figure slides left and right over the bike, leaning into turns! Cooling Room - The twin-tube style main frame has ample room cooling air to flow down the motor and amp. All Access - • Manufactured from strong, reinforced parts, the open frame design allows quick battery changes and easy motor/radio access. 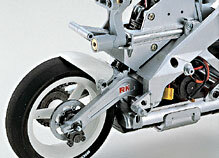 Mono-Shock Swing Arm - Equipped with monoshock swing arm for fully functional rear suspension. Realistic Detail - Power train uses drive chain and sprocket exactly like full scale racing bikes. Leaning Rider mechanism creates a true to life look when the bike turns. 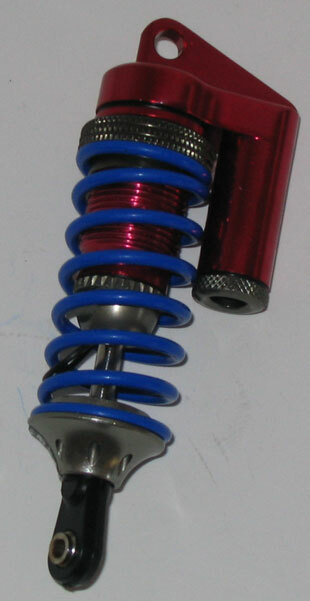 Available Upgrades - Optional upgrades like oil shocks and strengthened sprocket are also available plus tons more. A KIT is a higher level vehicle that included nearly everything you will need to build a rolling chassis. You will need to supply items like ESC, battery and radio equipment. Required items may vary from kit to kit so please see Required Items For Completion section for full list. 2-channel, 1-servo(micro) , 1-amp R/C system for motorbikes (micro).